We take a look at how you can provide the best possible service to vulnerable customers in the contact centre. Why Is Vulnerable Customer Training Necessary? This kind of customer training is needed to best support customers who have difficulty making informed decisions because they are in vulnerable circumstances. Each circumstance brings its own difficulties, as some can be particularly difficult to identify and each requires a different call-handling approach. 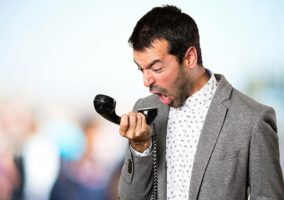 If the contact centre is not well prepared to handle calls from customers in each of these circumstances, you risk damaging your company’s reputation and, more importantly, harming the customer. 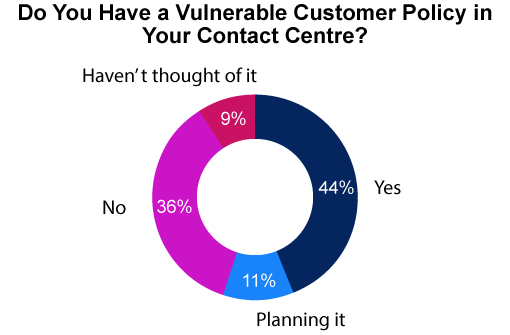 With this in mind, it was surprising to find that over a third of contact centres (34%) don’t even cover vulnerable customer training in their induction training, as highlighted in chart below. If you don’t provide relevant training, your staff will not be equipped, will lack confidence and will feel unsupported when taking these challenging calls, damaging their morale, according to Jacqui Crawley, Owner and Managing Director of KMB. The bottom line is that if you really care about your customers, you should be able to provide a consistent level of service to all of them and advisors need to feel supported in doing so. Before we go into how to best handle contacts from vulnerable customers, it’s first important to stress that vulnerability is a controversial label. The vulnerable tag is one that we impose upon our customers and one that some vulnerable customer groups will challenge. 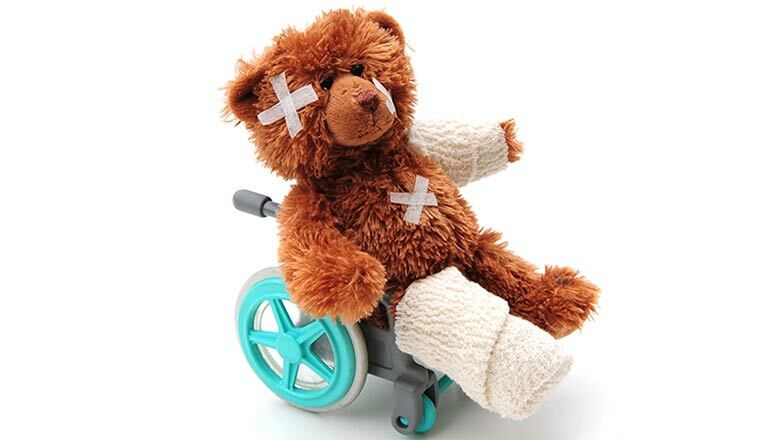 After all, a customer who doesn’t think of themselves as vulnerable may be a little embarrassed or even offended if they feel that they are being singled out. With this in mind, it’s important to train advisors to always be respectful and caring when handling contacts from vulnerable customers, while also creating training objectives around this principle. To ensure that your advisors are ready to handle contacts from vulnerable customers, make sure that your training allows the advisor meet each of the following objectives, as introduced by Jacqui Crawley. Appreciate that vulnerability is complex and changeable – We want the team to understand the nature of each vulnerability and the challenges that they put upon the customer. Have a better understanding to help you recognise vulnerability – We want the team to identify vulnerable customers by understanding the signals they may receive from customers who have dementia, learning difficulties, been through bereavement, etc. Develop methods to help deal with vulnerability – We want advisors to feel confident in how to proceed, once they have recognised that they are interacting with a vulnerable customer. Create confidence and sensitivity towards vulnerability – We want advisors to be respectful of the customer’s condition and modify their service approach towards different vulnerabilities. Assign a “Champion for Vulnerability” in the organisation – We want one caring advisor to be our “champion for vulnerability” and to challenge our vulnerable customer policies and procedures, as well as develop training plans. Keeping these objectives in mind, let’s take a closer look at how we train advisors to identify signs of vulnerability and how to then meet the customer’s needs. There are a number of warning signs that an advisor can pick up on to identify if the caller on the other end of the line is in fact vulnerable. Comprehend – Is your customer able to follow and understand the discussion taking place? Assess – Is your customer able to follow and understand the discussion taking place? 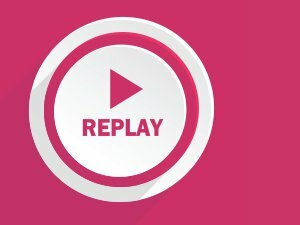 Retain – Does your customer appear able to retain the information you are giving them? / Can they recall details or are you having to repeat? Evaluate – How well do they express, explain or communicate their decisions? / Is the dialogue genuinely two-way or are they simply agreeing with what you say? These are examples of the things that advisors should listen carefully for. If they pick up on one of these “prompts” they need to think carefully about what to do next. Let’s take a look at some tips to give advisors, so they can control the call, once they’ve identified a vulnerable caller. A vulnerable customer may only be using the phone because they think that is their only option. They might prefer speaking on email or live chat – particularly if they have a hearing impairment. Everybody thinks that when someone is blind they may want their information in Braille but, in actuality, only 1% of blind people can read Braille. Another question that an advisor should ask when speaking to a vulnerable customer is if there is a better time for a call-back. After all, you may have had to share some bad information with them and they may want some time to process that and take the call when they’re in a calmer place. 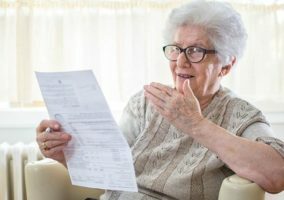 Vulnerable customers may struggle to “keep up” with the conversation, so it’s best to outline all the information that will be required for the call up front. From here on out, it’s important to direct the conversation and take ownership of the call, in case the customer begins to lose track. Explain to the customer how long the call will be expected to last and make sure that all of the information shared is relevant and in the best interest of the customer. We always advise caution when it comes to making assumptions of a customer’s issue, as you can easily jump into suggesting the wrong solution. However, this is more important when it comes to handling contacts from vulnerable customers – take nothing for granted. For example, can the customer hear what you’re saying? They may have a hearing impediment. Also, consider if the person you are talking to has good eyesight. If they do not, they may be unable to read statement details, serial numbers and other information. This is why it is great to be prepared to offer other materials, such as large-print PDFs, Braille or audio tools. Try to visualise the customer in your mind, so that you can relate to them better and home in their dominant needs first. When speaking to vulnerable customers it is important to be conscious of the tone of your voice. The key is to speak clearly and enunciate, but not to the extent where you end up shouting at them. Stay at a relaxed pace to avoid bombarding the customer with too much information or rushing them into responding when they haven’t fully explained what they need. Questions such as “Are you happy with everything that I’ve just said?” or “Is there anything that you’d like me to explain?” will help you gauge whether or not the customer is keeping pace with what you are saying. Subtly asking the customer to explain their understanding, if you are not convinced that they are on the right track, will help to make this more obvious. Just remember to be patient and give the customer all the time that they need to process instructions and explain their situation fully. Don’t interrupt them or show any signs of impatience. When closing the call, it is important that the vulnerable customer has understood all of the key call outcomes and the next steps that they need to take. However, how can you, as the advisor, guarantee that the customer has taken everything in? When summarising the call, ask the customer if they are happy and have been able to follow everything that you’ve said. If they say “yes”, consider whether this is a genuine yes or just a submission. Also, remember to ensure that the customer is not in an emotional state when they answer this question and consider whether the customer fully understands the consequences of the decision that they are making. According to Jacqui Crawley, the place to start in creating a plan to help deal with vulnerable customers is by creating a policy, making sure it is something that you can use, adapt and review. 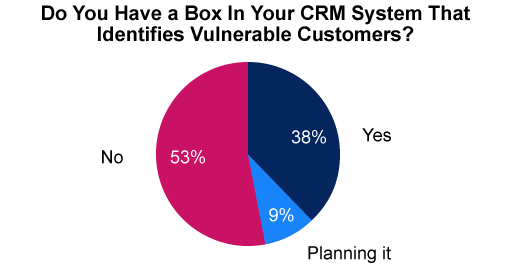 However, just 44% of organisations have a vulnerable customer policy in place, as highlighted in the chart below. When creating this policy it’s important to think about the procedures and technology that you already have in place and consider what reasonable adjustments you can make. When handling vulnerable customer queries, it is important that advisors feel fully supported, as these can often be long and demanding contacts. Here are two technologies that will help better support advisors while enhancing your vulnerable customer policy and procedures. As speech analytics systems can provide detailed reports of all contact centre interactions, you can search the system to find examples of best and worst practice when handling difficult vulnerable customer calls. Over time, we pick up a lot of information about our advisors, including metric scores, skills, knowledge, their likes and dislikes, as well as their previous customers’ feedback and feedback from other members of the team. On the other side, we also gather lots of information about our customers, including what they’ve purchased, their demographic and their individual likes and dislikes. All this information can be contained in individual customer profiles. To find even more tips for handling contacts from vulnerable customers, we got in touch with some of our readers, who have shared some of their best practices below. Make time in team meetings, huddles and briefings to discuss difficult calls and share how you practise self-care at work. In my contact centre, we often have very difficult conversations about sensitive topics, and having that time and space to discuss it openly and honestly helps our team to feel bonded and better prepared to handle those difficult conversations with people in vulnerable situations. We always have a few mental health champions at our place of work as the well-being of the employees is just as important as the well-being of our customers. When dealing with difficult information, don’t underestimate the value of having a go-to person to discuss difficult moments with. Ask people in your organisation looking to create case-specific training or fact sheets to help people research different conditions and understand a bit more about them before taking those calls. If advisors know the basic challenges that people of all “mainstream” vulnerabilities have to go through, it increases their understanding of how to help the customer and perhaps their empathy levels too. We always ask what kind of support they need. Is it financial assistance, do they need a different communication method? Everything we do is guided by their needs. The starting point is to set a clear agenda at the start of the call and set expectations, something along the lines of: “What I’d like to do today is ask you a few questions to understand a little bit more about your circumstances…”. This will help to open the conversation up. If you can arrange it, create links within your local community to care homes, day services, even local authorities, and allow staff time out to help them. By doing so, you can help your team to make the “real world” connection to vulnerability that can only boost their customer service skills.